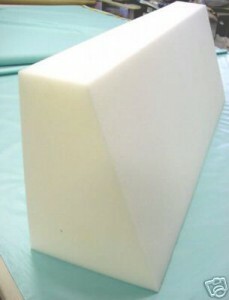 Our foam back bolsters work great anytime you need an angled surface to be used as a back rest. 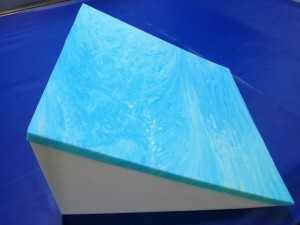 We offer bolsters with or without covers. 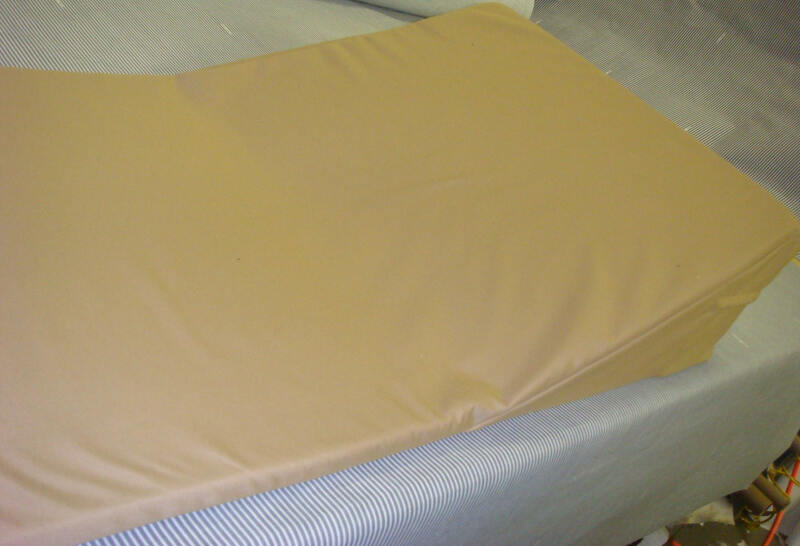 We can also make custom bed bolsters. Call today to ask us how to get started! 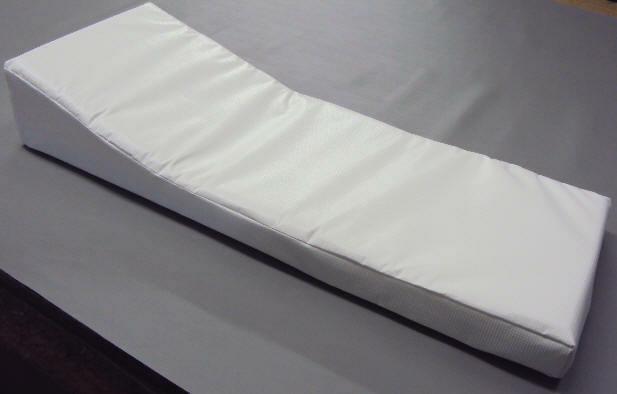 Back bolster are used for: Reading in bed, watching television, chest congestion, heartburn, sinus drainage, acid reflux, etc. 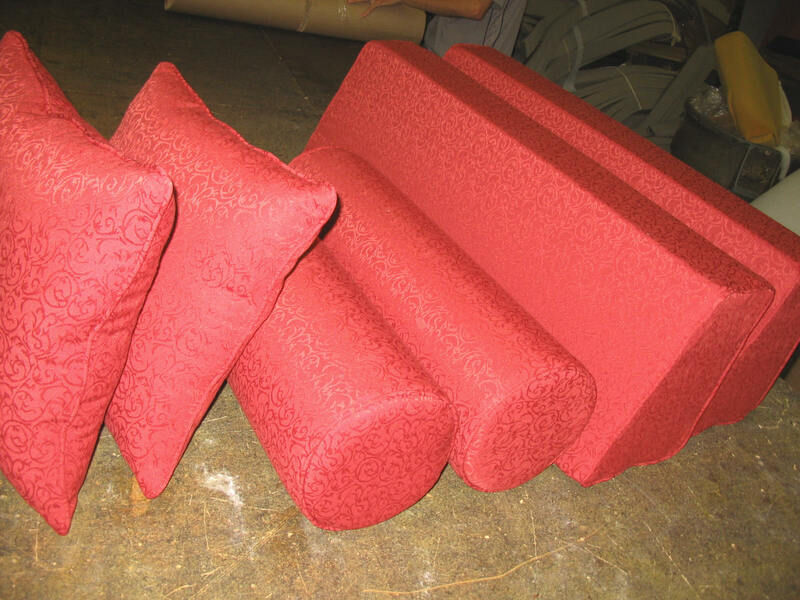 Custom Sizes of Back Bolsters are also available – call for prices and availability. Add $ 38.00 for cover with zipper. 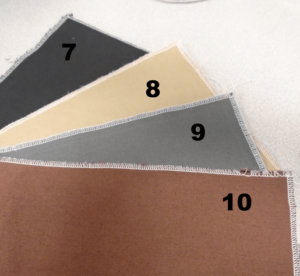 Click here for cover options, or you can use your own fabric. You will also need 1-1/2 yards of fabric. Cost includes labor to make only. Please note: Shipping and Handling is $18.00 in any size. Q. Will the Foam Back Bolster be glued? Please note that a wedge over 12″ thick will need to be glued together to get the thickness you are looking for. 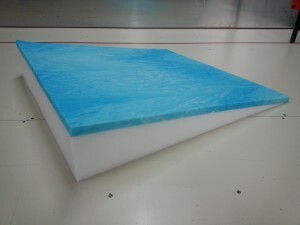 The glue is strong and will never fall apart and plays no affect on the firmness of the foam. 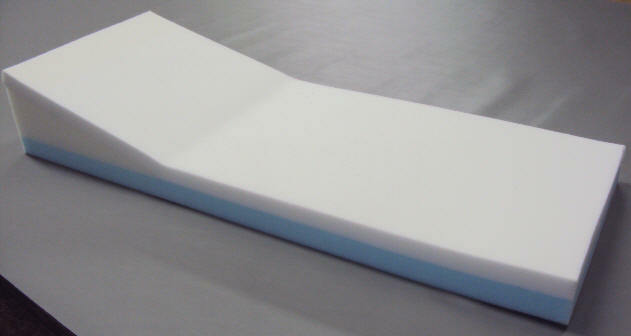 This foam wedge provides a comfortable support in a variety of positions. Ideal for the head, foot or leg elevation. Helps ease respiratory problems, neck pain, shoulder pain and or back pain. 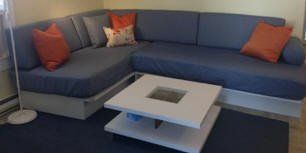 The Slant provides just the right elevation and slope for the upper body or legs. Relieves swelling and muscle tension. Relaxes tired feet and legs. Add $ 18.00 for cover with zipper. Click here for cover option. Shipping and Handling is $ 18.00 for each wedge, in any size. This memory foam topper is 72″ long so that the wedged foam will not slide around and the foam will stay in place.This wedge design prevents forward sliding and encourages a correct laying posture. The 1″ or 2″ thick memory foam topper is added on top to reduce and redistribute pressure away from high-pressure contact points. Then the layer of 1″ thick of soft, medium or firm foam at the bottom gives you the support you need, plus the comfort you desire to get a restful night’s sleep.Firm Wedge: 1″ Luxury Foam at the bottom.Medium Wedge Pad: 1″ premium Foam at the bottom.Soft Wedge: 1″ HD23 Foam at the bottom. We off the option to get 2 custom covers equipped with zippers! The first cover is made out of a white soft waterproof vinyl which is impervious to liquid or fluids. Ask us about our waterproof cover option today! This foam wedge is designed for better sleeping positions for your baby. This wedge elevates your baby’s upper body for easier breathing and improved digestion. Add $20.00 for cover with zipper. Click here for cover options. Also available in Soft White Vinyl. Shipping and Handling is $12.75 per wedge, any size. Back support pillows are valuable tools for preventing back pain. These wedges help to alleviate the effects of problems such as muscle weakness or damage. 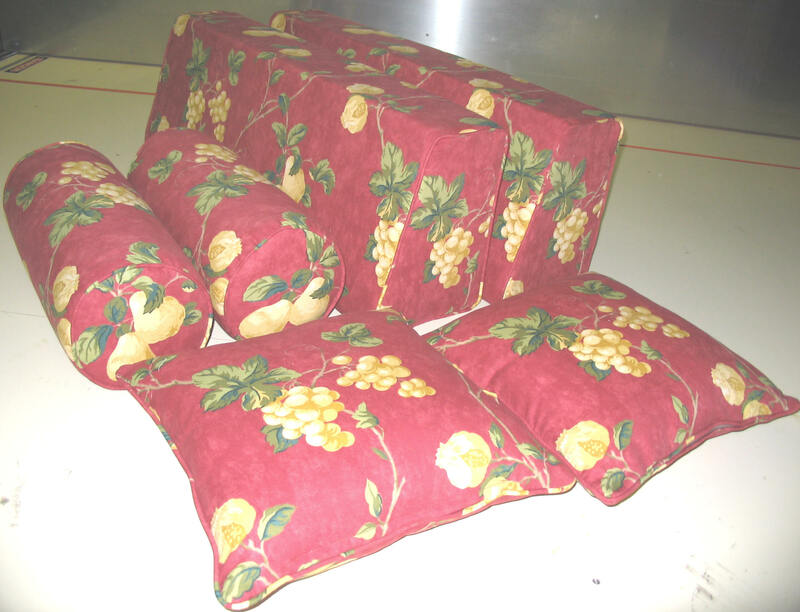 Using the back support pillows can be very important for your health and comfort. Car Back Support: Frequent car users will benefit from this slim line back support pad designed to promote correct seating posture and decrease stress to the lower spine and legs. 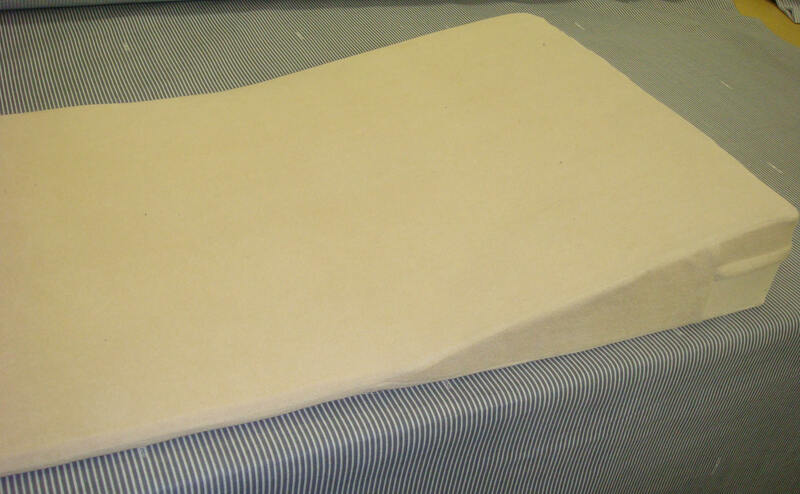 This pad can also be topped with a layer of memory foam to ensure extra comfort to the lower back. 14″ x 22″ x 3.5″ $44.95 Comes in an removable navy blue terry, cover with zipper. Cover is included in cost.